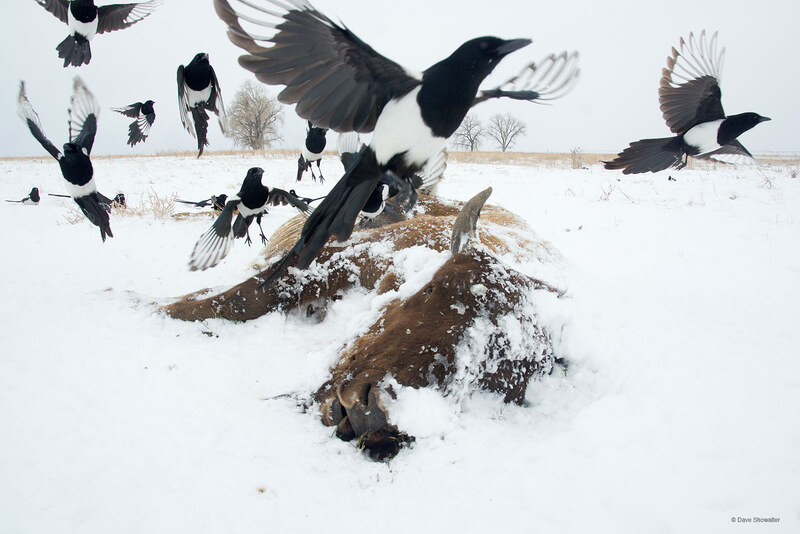 Back-billed magpies take flight when a coyote arrives to feed on a bison carcass that sustained scavengers to the site for several months. Magpies are intelligent omnivorous corvids, with a range of the intermountain West and western Great Plains to west-central Alaska. Photo © copyright by Dave Showalter.